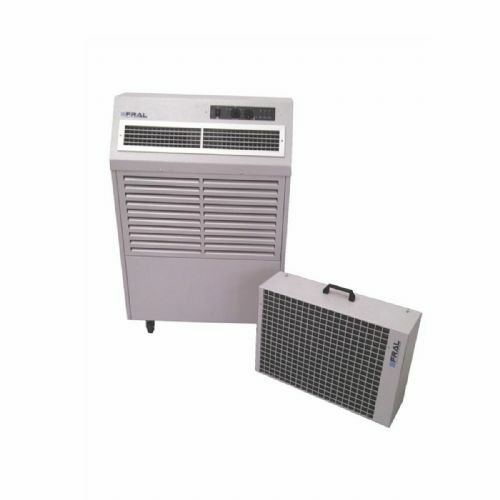 The SC14 remote control portable heat pump air conditioning unit is a very popular compact and versatile cooling / heating system with the unique option of a front and rear 2 duct outlet. This allows the SC14 portable air conditioning unit to be situated inside or outside the area you are looking to cool or heat. This thanks to the easy clip on grill option. It comes complete with a heat pump allowing all year round use and delivers 4.1kW of cooling and 5.3kW of heat. 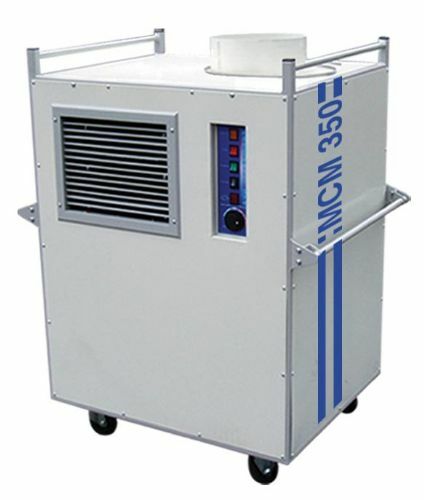 The fan speed can be set over a range of 3 setting and the unit has its own automatic condensate removal system. The Fral SC14 is suitable for residential, office and server room / computer rooms as it has a high temperature alarm in built. 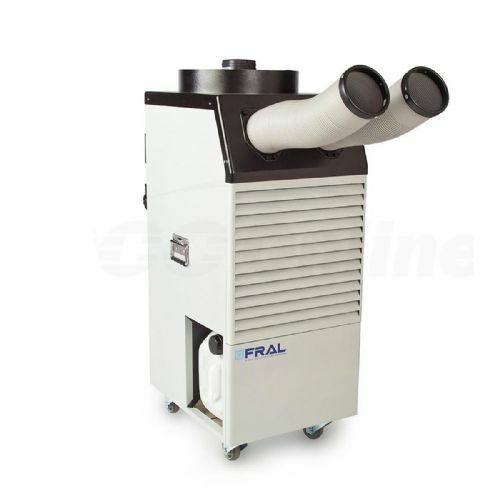 The Fral SC14 is extremely quiet in operation and will work easily with 6 metres of ducting off either outlet, making the SC14 one of the most popular units in the market place.